UCIL Apprentices Recruitment 2018 2019 | UCIL invites Application for the post of 188 Apprentices Posts. Aspirants Download Application Form through Official website www.uraniumcorp.in | Opening Date and time for Submission of Application is 30.09.2018 and end up by 26.10.2018. 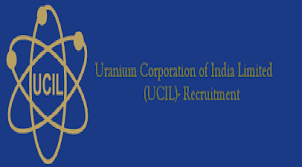 You can check here UCIL Recruitment Eligibility Criteria, Pay Scale, Application Fee/Exam Fee, UCIL Selection Process, How to Apply, UCIL Syllabus, UCIL Question Paper, UCIL Admit Date Release Date, UCIL Exam Date, UCIL Result Release Date & other rules are given below.. Aspirants are requested to go through the latest UCIL job recruitment 2018 fully, before applying to this job. As per the recent UCIL notification 2018, the eligibility details like Educational Qualification & Age Limit for the Apprentices job has given below. UCIL may follow the following process to select the candidates. How to apply UCIL Apprentices Vacancy? Step 7: Application to be forwarded as per format available in UCIL website [www.uraniumcorp.in] through speed post ONLY and addressed to Dy. General Manager [Inst./Pers. &IRs], Uranium Corporation of India Limited, PO : Jaduguda Mines, Dist : East Singhbhum, Jharkhand - 832 102, within 25 [Twenty Five] days from the date of publication of this advertisement. The applications should be accompanied by Xerox copy of [a] SSC Board certificate/Matriculation Mark Sheet and proof of date of birth [b] ITI Mark Sheet [c] Caste Certificate [for SC/ST/OBC [NCL] only] [d] Character certificate from last institution studied in [e] Aadhaar Card [f] One self- addressed envelope of size 22cm x 10 cm. Applications received after due date and incomplete applications will be rejected and no further correspondence in this regard will be entertained.